Electric gates and gate automation NICE Run kit. 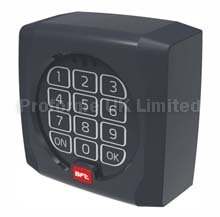 For sliding gates weighing up to 1800kg (RUN1800) and up to 2500kg (RUN2500). Electromechanical gear motor with Nice BlueBUS technology. Ventilated motor with inductive limit switch (RUN1800p/RUN2500p) or Electromechanical limit switch (RUN1800/RUN2500). Suitable to operate in extreme conditions. User friendly: the BlueBUS system enables users to connect 15 control systems, the photocell couples and control unit using just two wires. Possibility to connect two flashing lights. Practical: the control unit can be connected by means of a simple connector and can be housed directly inside the motor. Advanced: Powerful starting; Strength and pause can all be adjusted. Temperature sensor: it adjusts the motor force according to weather conditions by regulating both the thermal protection and the self-ventilation intensity. A master/slave connection automatically synchronizes two motors. This means it is possible to automate 2-leaf sliding gates set opposite each other. Intelligent: thanks to the obstacle detection system and automatic programming of the working times. self diagnosis by means of a flashing light. 8 programming levels. Safe : acceleration and deceleration can be adjusted at the beginning and end of each opening and closing manoeuvre. Also available: NICE Run operators. Download Run PDF File. Here.